Hard to list all of the accomplishments of just this one man named Chester R. Smith. Gaining fame in 1954 after recording his great gospel tune "Wait a Little Longer Please Jesus" a song written by local Modestan, Hazel Houser. 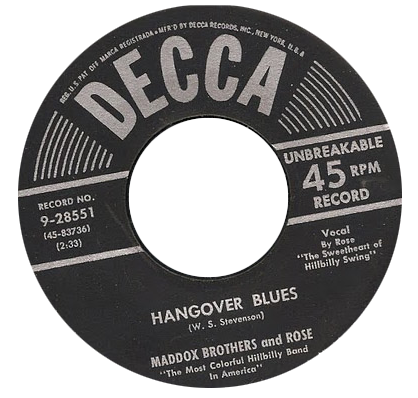 He had signed a year earlier with Capitol Records to become a national recording artist. Son of dust bowlers, his family migrated to California in 1935 , and just outside of Fresno they settled in a town called Tranquility. 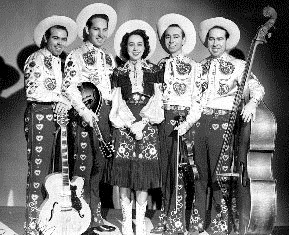 His road to success started at the age of 9 where he began singing Gene Autry songs in 1939 for Fresno station KMJ. 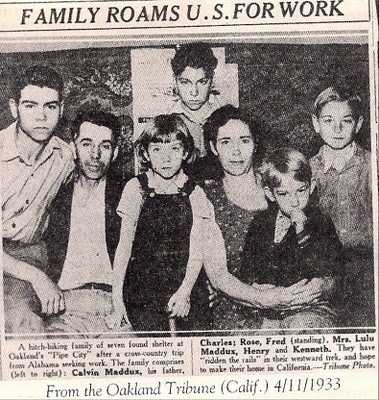 By 1942 the family had moved to Turlock where young Chester found his way to KTRB, singing regularly on the "Children's Hour" hosted by Carol Glass. By the time Chester was sixteen he put together his own band and began playing at local public night spots all around the valley. 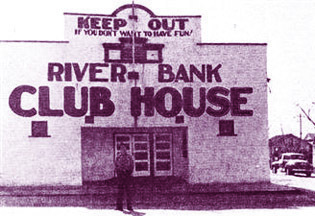 He is particularly associated with the Riverbank Club House, although he was still too young at that time, to play at many of the local bars and adult nightclubs. It was also this time Chester set out on his own, when he dropped out of high school to begin his own DJ program at KTRB Modesto. "This is Chester Smith, speakin' right atcha"... as he would always introduce his show immediately following the Maddox Brothers and Sister Rose program. He contracted his own sponsors and bought air time from the station, he never worked for anyone but himself. 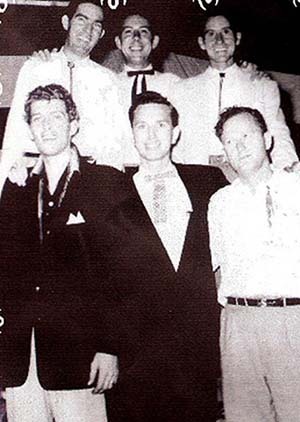 During his time at KTRB, his show gained wide popularity and success by hosting such on-air luminary country artists as Hank Williams, Lefty Frizzell, Hank Snow, Skeets McDonald, Little Jimmy Dickens, Johnny Cash and newcomers like Buck Owens, Merl Haggard and Marty Robbins. He was named best new talent by the country music disc jockeys in his first year. After gaining national notoriety in 1954, Chester eventually retuned to the Central Valley to build his own media empire. 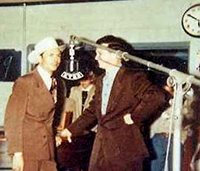 Beginning with KLOC Radio in Ceres, Chester began promoting his stations on local television with live country programming in exchange for advertising his new enterprise. The strategy worked over time and his influence grew to acquire more radio and TV stations all over the state. Television however, was a much harder road as it was going through big transitions at the time and technology was not as easily available as it was in radio. But Chester, being the innovator and visionary, began to pioneer Spanish broadcasting. Foreseeing the potential of Spanish language marketing he became a giant in that industry. Again, time proved him right on the money as he increased his operations up and down California.